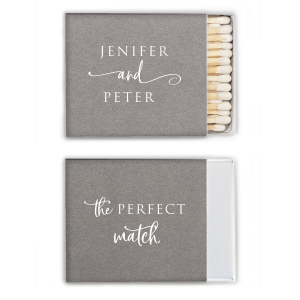 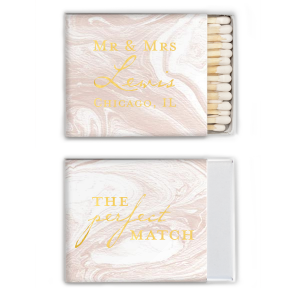 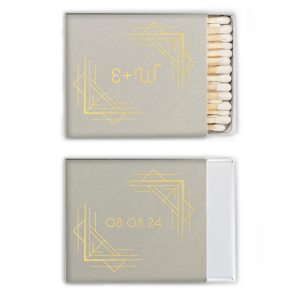 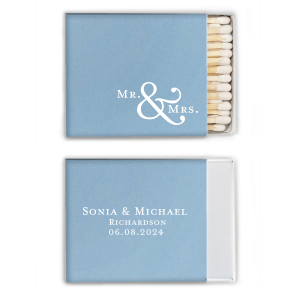 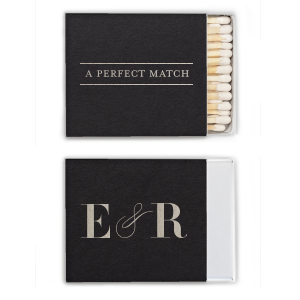 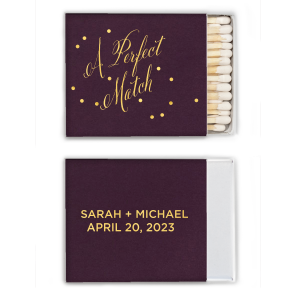 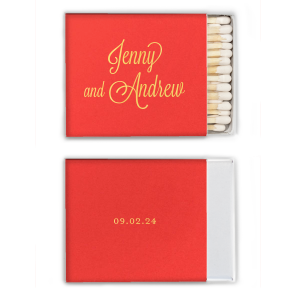 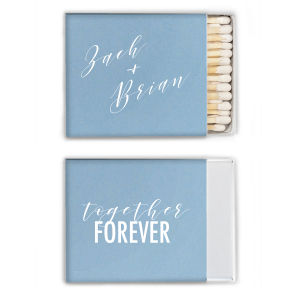 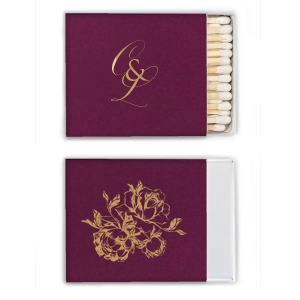 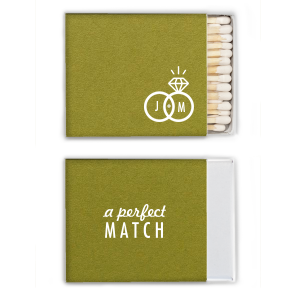 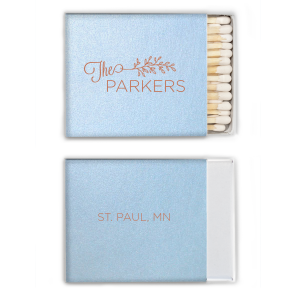 Add a fun spark to your wedding favors with custom riviera matches! 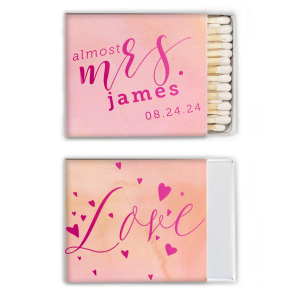 Personalize your riviera matchbox with your wedding look and feel to feature your theme in every detail. 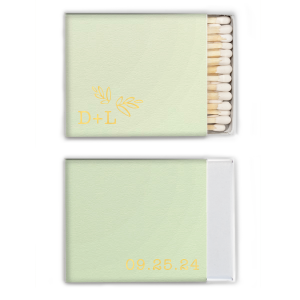 Riviera matchboxes from For Your Party are a nearly square and an adorable option for personalized party favors. 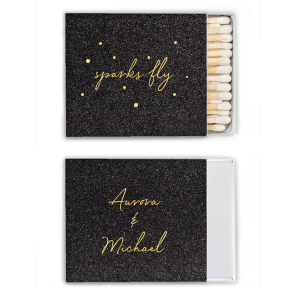 You can choose to foil stamp a classic, personalized monogram or trendy phrase like "Light Up the Night" or "It's Lit" in colors to coordinate with your wedding palette. 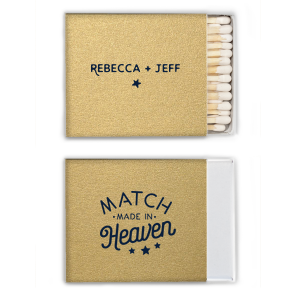 Custom riviera matchboxes are a sweet addition to your wedding bar and just what you need to complete your highly anticipate sparkler send off. Plus, guests can take them home as an inexpensive personalized wedding favor! 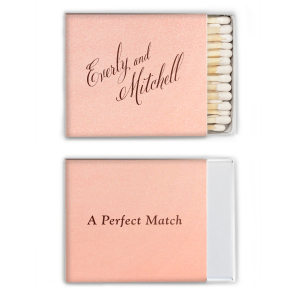 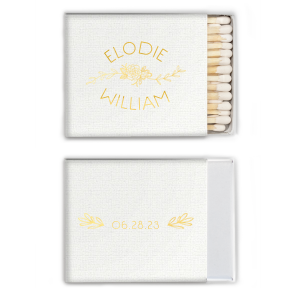 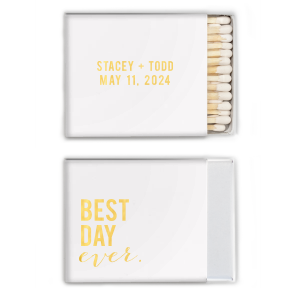 The best part about personalized riviera wedding matches? 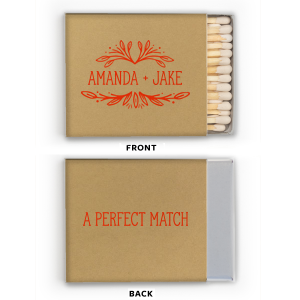 You can make them exactly how you want them. 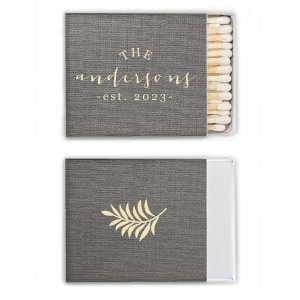 Our vast library of paper colors, foil colors, fonts and graphic will let you design for a sophisticated, traditional wedding, a bright and floral wedding, a sleek modern wedding and more. 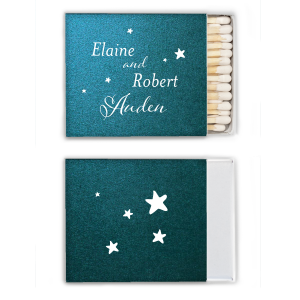 And our designs don't stop with weddings! 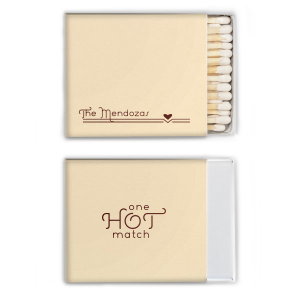 Create custom matches on For Your Party for retirement parties, graduation parties, birthday parties, corporate events and more.